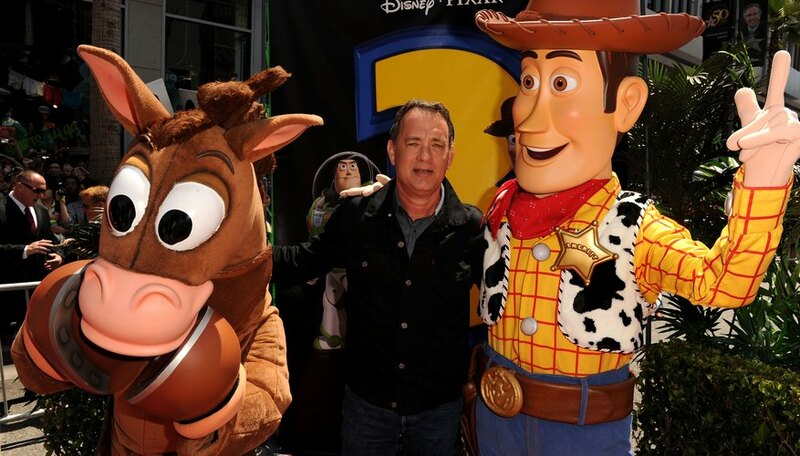 The release of the first "Toy Story" movie in 1995 was more than just a massive financial success for Walt Disney Pictures and its computer animation studio, Pixar. It began a new revolution in film animation as rival studios raced to match their level of success with their family films and computer animation divisions. Besides surmounting the at the time seemingly impossible task of making an entire feature film with computer animation, they also constructed a story that got huge laughs and won over both kids and the parents who took them to the theater. It not only changed the way that audiences thought about kids' movies and animated films, but it also paved the way for some serious changes in the animation industry and the films they would produce. Disney's films always seemed to be emulating the movie that made it such a serious name in the film industry: the 1937 classic "Snow White and the Seven Dwarves." They spent years following their founder's groundbreaking success by sticking to fairy tale fare like "Beauty & the Beast," "Sleeping Beauty" and "Cinderella," which also became classics in their own right. "Toy Story," however, seems out of place in the Disney library and its success broke the mold for mainstream animated films. Slate's Rachel Larimore says that Pixar "raised the bar for children’s entertainment and inspired imitators like DreamWorks Animation and Sony Pictures Animation that, while not as consistently good as Pixar, have turned out great family films like 'How To Train Your Dragon,' 'Monsters vs. Aliens,' and 'Cloudy With a Chance of Meatballs.' "
Pixar doesn't just spend a lot of time drawing and animating every frame of their feature-length movies. They also spend months developing the stories and themes that have made them so popular. Pixar's movies, according to Young, showed that animated films possessed a unique opportunity to show "the value of temporarily slowing down a movie's narrative" and could take on subjects that were once considered taboo for family movies, such as environmental conservation in "WALL-E" or corporate malfeasance in "Monsters, Inc." Other studios have followed suit with more emotional subjects in their films, such as war in Dreamworks' "How to Train Your Dragon" and even death and extinction in the "Ice Age" films. Pixar's contributions to animation didn't just come from their creative process. They also came from technological breakthroughs. The studio actually got its start at LucasFilm before Apple co-founder Steve Jobs purchased the company to bring computers into the film industry. According to the BBC, George Lucas' team created RenderMan, an animated software system that made it easier to create computer animations and visual effects and drop them into live-action scenes. According to the Animation World Network, the software has become a film industry standard in animated and live-action films that regularly pick up Academy Award nominations for visual effects, such as "Marvel's Avengers," "Hugo," the "Harry Potter" films and the "Lord of the Rings" trilogy. Movies like "Cars," "Toy Story" and "Monsters, Inc." might have kiddie concepts, but their stories, themes and even jokes can be enjoyed by audiences with a wide variety of ages. They don't have to cram pop-culture references into them that only adults will understand while using zany cartoon humor to keep the kids entertained. In fact, Pixar doesn't like to focus on references that lose their luster over time. "Ratatouille" director Brad Bird told The Guardian in an interview, "Pop-culture references are easy. And they give the audience a cheap thrill, but they don't last." That's because Pixar's writers and directors don't see their movies as kids' films. "It's a medium, a method of storytelling," Brad told the Guardian. "We don't make these films for children, we make them for us -- and hope kids, teenagers, other adults, all have similar tastes to us." In doing so, Ryan Gilbey of the Guardian opined, films like "Shark Tale" and "Bee Movie" would rely too much on making pop-culture references and jokes strictly for adults, and they pale in comparison to Pixar's productions and have pushed them to focus more on stories that emphasize talent rather than formula or marketability. Danny Gallagher is a writer, reporter and blogger. He has contributed to "Maxim," Spike.com, "COEDMagazine," MTV, Gametrailers.com, "The Chicago Tribune's" Redeye and "The Christian Science Monitor."